Exams scheduled for Jan 29th also POSTPONED to Wed Jan 30 and Thurs Jan 31st ! As a result of school buses being cancelled again today (Jan 29th) all exams for Jan 29th will be POSTPONED and rescheduled to Wednesday January 30th and Thursday January 31st. 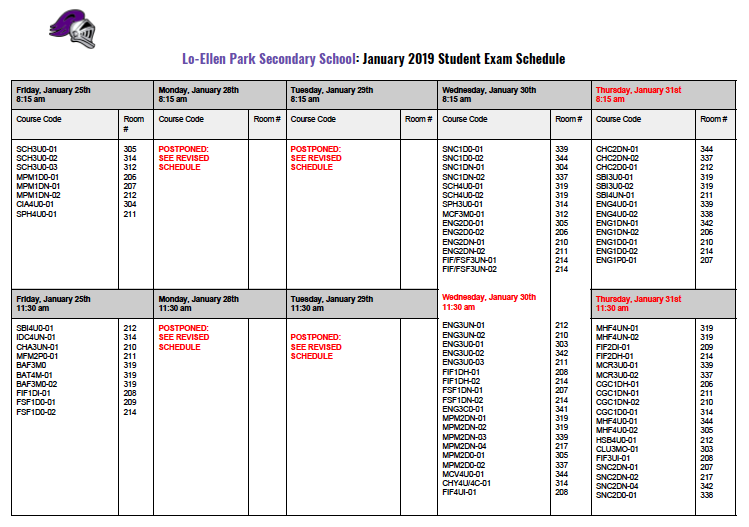 Look carefully at the revised exam schedule (below) to find your course(s) to see where/when the exams will be written.